A lot of pieces have been appearing recently — especially in the past year since the election of Donald Trump with the support of many evangelicals — discussing the crisis currently besetting evangelicalism. They usually reference American evangelicalism, but since there are 10 times as many people in the USA than in Canada and 5 times as many as in Britain, and since the largest denomination in the USA is the evangelical Southern Baptist Convention, what happens in American evangelicalism has a knock-on effect on the rest of anglophone evangelicalism, even when we know there are definite differences amongst our different cultures and church traditions. One problem is that people who aren’t evangelicals have no clue what an evangelical is to begin with. This is not necessarily a terrible thing; most people probably can’t tell the Greek Orthodox from the Coptic Orthodox, and some people can’t even tell Greek Orthodox priests from Muslims (true story). But as evangelicals in the USA have been making themselves a visible and felt presence in the public sphere for a while now, it’s a bit surprising that people still can’t tell them from other kinds of Christians. Millions of evangelicals and other Christian fundamentalists believe that the Bible was dictated by God to men who acted essentially as human transcriptionists. First of all, one of the defining features of American evangelicals is the fact that they are explicitly not fundamentalists. That’s part of the point of the evangelical movement in the USA since at least the 1970s — to be a countercultural, conservative, Protestant voice committed to Scripture, Gospel, and evangelism that is an alternative to the fundamentalists. Second, this is not how most evangelicals actually understand inspiration. Some do, I admit. But I don’t think most do. This is how Muslims think about the Qur’an, sure. But Christians aren’t Muslims. One prominent scholar of Late Antiquity once referred in 2010 to people who believe in Intelligent Design as fundamentalists, which demonstrates a failure to understand either Intelligent Design (a movement that says science and theism are compatible, with an openness to evolution) or fundamentalism (a movement that requires the sort of biblical literalism that says that rejecting a literal six-day creation means rejecting the authority of Scripture). So, part of the evangelical identity crisis lies in the fact that, well before Trumpism, people couldn’t actually tell who evangelicals were. As a result, anyone who thinks of his’erself as ‘evangelical’ and who pays attention to the misrepresentations of evangelicals on the Internet became a bit uncomfortable with the word. I remember, back in 2001, talking to a Canadian who was surprised when I talked about evangelical Anglicans, because he associated evangelicalism with certain varieties of (American) neo-conservative politics. I’d say that American politics are probably the main source of contemporary evangelical angst, but before I get there, I’d like to say that we’ve been having an identity crisis longer than that. This is partly because evangelicalism, in whatever nation and whatever form, is a cross-denominational movement and often involves para-church organisations and inter-denominational events. In his little book, The Real Scandal of the Evangelical Mind, Carl Trueman argues that the real problem facing evangelicals is that there is no such thing as an evangelical. He, a Presbyterian of confessional cast, recalls being seated at the ‘evangelical’ table at a conference and found that he had very little with the others at his table, who included an Open Theist. He looked to another table and realised he had more in common with the Dominican Roman Catholics in the room than his fellow evangelicals. But, of course, for most Orthodox, to cite the title of a different book, Evangelical Is not Enough. So, not only do evangelicals get confused with other groups that they are not, they also can’t even agree amongst themselves what they are. But whatever they are, it originally was rooted in particular Christian beliefs and a certain view of the Christian life rooted in Scripture and the Cross. But politics has muddied the waters. Surveys now show that a lot of people who, if you quizzed them on their beliefs, would qualify as evangelical, do not use the word. As well, there are people who would use the word of themselves if it had no political baggage. Others wouldn’t. That, I think, was a recent Pew survey? Another survey revealed that amongst self-identified evangelicals, regular churchgoers were less likely to vote for Trump than non-churchgoing evangelicals. Evangelicals who don’t go to church? In my mind, evangelicals are a committed brand of conservative Protestant, part of whose personal piety is regular church attendance, along with daily prayer and Bible reading. Indeed, not just weekly church attendance on Sunday, but a mid-week Bible study is a typically evangelical event. So, not only do we have an inability on the part of non-evangelicals to tell them apart from others, an inability amongst so-called ‘evangelicals’ to define what they are, we also have people who identify as ‘evangelical’ who are not even active Christians. Of course, what matters is not what labels we use. I still think of myself as an evangelical — not just those four distinctives but also a belief in robust preaching and rich theological reflection being part of my vision of evangelicalism. But it is clear that, because of developments in the culture of the USA, the term’s usefulness is running out. 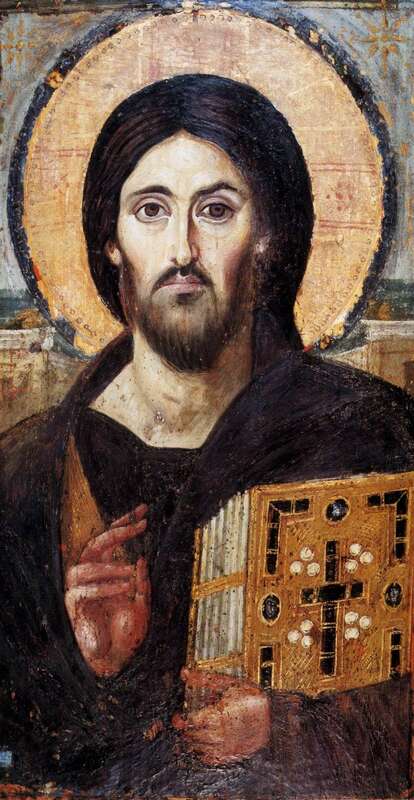 What matters, then, is the commitment of Christians of any denomination — Protestant, Roman Catholic, Eastern Orthodox, Coptic Orthodox — to the Gospel of Christ Crucified and Risen, to Scripture, to the encounter with God, to making more disciples, to living holy lives, to seeing a world transformed by the fire of the Holy Spirit. This can happen, and we don’t need the word evangelical to do it. Should people like me give up on it, then? A church I know that made the transition from ‘High Church’ to ‘Low Church’ removed the statue of its patronal saint from the sanctuary into the vestry. This move was made on the grounds that, ‘This an evangelical church, not an Anglo-Catholic Church.’ The same minister, who had worn a cope in the past, refused to wear one on a later occasion on the grounds that you don’t wear High Church Vestments in an evangelical church. By evangelical, I mean Gospelly. Gospel-focused. Something or someone focussed on the Incarnation of God as a man and His death, resurrection, ascension, and coming again in glory for the salvation of the human race, with a strong emphasis on Christ’s atoning death. Someone evangelical has a very high regard for Scripture as the revelation of God and our way of learning about Jesus and his life on earth. Evangelicals believe in the saving power of Jesus Christ and his Gospel, available to those who believe. By what follows, I don’t wish to minimise the differences between High and Low Churchmanship. Nor do I wish to downplay the worthiness of Low Church worship — I grew up Low Church, worshipped at my dad’s Low Church parish just recently, and worship with the Free Church of Scotland. I hope, rather, to help Low Church Evangelicals to be more comfortable with their High Church siblings, and for High Church worshippers to realise the levels of Truth and Gospel witness found in their rituals — these rituals ought not to be dead, for in them is contained a witness to the glorious Truth of God made Man for our salvation. Genuflection & the Sign of the Cross When you join your High Church friends on a Sunday morning, you may notice that many of them genuflect before entering the pew, and that many also make the sign of the cross. This is not mere superstitious nonsense, a hangover from those dark days of Roman Christianity. Look to the front of the church. What stands on the Holy Table or hangs from the ceiling or is mounted on the back wall (or all three)? A cross or a crucifix. Why genuflect to a cross made of brass or wood? Is not the Lord Jesus risen and ascended to heaven? Yes, He is. And, ascended to glory, He is now everywhere, for heaven has not a fixed location (despite silliness from J S Spong). Yet you cannot worship Christ who died for you everywhere unless you worship Him somewhere. In kneeling briefly before being seated in the pew, the worshipper acknowledges his or her debt to the One who died on the historical cross on a hill far away. He or she worships in his or her spirit, using the body and the physical space to honour the invisible God. It is a spiritual act of worship. The same, needless to say, goes for making the sign of the cross, an act I am much in favour of (see this post and this post). Regular, old kneeling If a person of particular outward piety, your High Church friend will probably proceed to kneel and pray for a bit. It used to be the case that most, if not all, western Christians knelt to pray. Most have a tendency to sit these days. Kneeling is a physical act of submission and humility. No matter how intimate we get with God — and He does call us friends and we are called his Bride — He is still God; still holy; still other; still wholly other; still almighty; still King. We are to humble ourselves in the sight of the Lord. It is His will to lift us up. When we present our prayers and petitions unto the Most High, is there any posture more fitting than that of kneeling? Standing There is always standing, of course. This is the first ritual act the whole congregation performs. As the clergy, assistants, and choir enter, everyone stands up. The cross, that great symbol of our salvation and the very reason we are present at church, goes before them. Out of honour to this cross, we stand. Out of respect for the clergy who have a duty and role to teach us and instruct us in the Faith and to lead us in worship and to draw us near to God through the sacraments, we stand — we stand even though so many, high and low alike, fail at most or all of the above often or sometimes. And so they process in, the choir singing something, hopefully in English. Preferably, in my opinion, a congregational hymn. But maybe not. Maybe in Latin, even.